A rethermalizer is a piece of commercial cooking equipment that uses hot water to reheat frozen foods. If you want to take frozen foods from a chilled state directly to the appropriate serving temperature without overcooking, you’ll need a rethermalizer. Unlike a food warmer that keeps hot foods hot, a rethermalizer is designed to heat frozen foods up to a food safe temperature in as little time as possible. 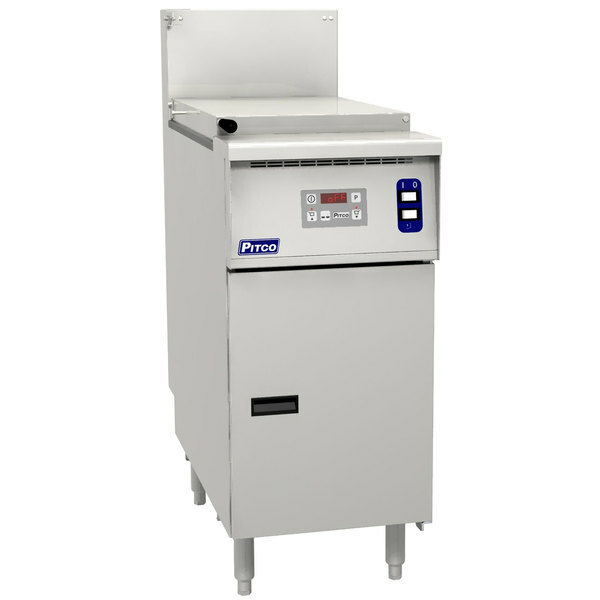 Rethermalizers are especially useful in kitchens that prepare and freeze large batches of food ahead of time. While they are mostly used to heat up frozen prepared foods, like soups and vegetables, rethermalizers can also defrost raw meat as long as it's in a sealed package. How Does a Rethermalizer Work? Rethermalizers are sturdy appliances that rely on a hot water bath to heat up and cook items evenly. Frozen foods in sealed packages are placed inside the water bath, and precise temperature control gently brings the items to a food safe temperature. Digital or manual controls allow the user to set the desired water temperature. Floor model rethermalizers are similar in size and appearance to a deep fryer, but instead of holding oil they hold hot water. For convenience, they can be placed side by side with your other cooking equipment. There are also smaller rethermalizers that resemble countertop fryers, soup kettles, or drop-in food warmers. What Makes a Rethermalizer Unique? Food should already be heated to the appropriate serving temperature before adding it to a food warmer. The food warmer will then hold the food so that it stays hot and fresh. Unlike a rethermalizer, food warmers are designed to be loaded with hot food, not frozen food. There are some warmers that have a rethermalizing feature, but this will be clearly stated in the user manual. The term pasta cooker and rethermalizer are often used interchangeably, however, a rethermalizer can only be used to cook pasta if it’s designed to boil water. If you're looking for a rethermalizer that will also cook pasta, make sure that it has a boil mode feature. Sous vide equipment uses precise temperature control and water circulation to cook vacuum packaged foods, particularly raw meats. While rethermalizers can be used to defrost raw meat in preparation for cooking, they aren’t used as the final cooking method. Also, rethermalizers usually have a greater tank capacity for heating up items in bulk. The key difference is that rethermalizers are designed to heat up precooked frozen foods, whether they’re purchased frozen or cooked on the premises and then frozen. This method is especially effective for frozen vegetables, soups, and sauces. Raw meats can be defrosted in a rethermalizer as long as they are sealed in leak-proof packaging. Rethermalizers eliminate the need for thawing or defrosting foods, while also ensuring that your foods are quickly carried through the danger zone of 41 degrees to 135 degrees Fahrenheit. This is the temperature range in which bacteria is most likely to grow, and it's important to get foods out of this range as quickly as possible. This method takes a lot of time, and if you forget to pull out the frozen chicken breasts from the freezer the night before, you’ll need to use one of the other methods below. This method is also time-consuming, and you’ll need a thermometer to make sure the water temperature is correct. When your kitchen staff is in a hurry it’s likely they’ll forget to test the water temperature. It’s difficult to be precise when defrosting in the microwave, and foods often become overcooked. When cooking frozen foods it can be difficult to achieve even heating. Foods appear to be cooked on the outside, but the inside remains frozen. This is a common reason for chicken or fish being returned to the kitchen for having a raw center. With a rethermalizer, you can avoid all of these pitfalls. Rethermalizers are easy to use and your staff can do other tasks while they wait for foods to be cooked. It’s also a very precise method of cooking that heats foods up to exact temperatures. Rethermalizers offer a variety of benefits, from energy savings to improved food safety. 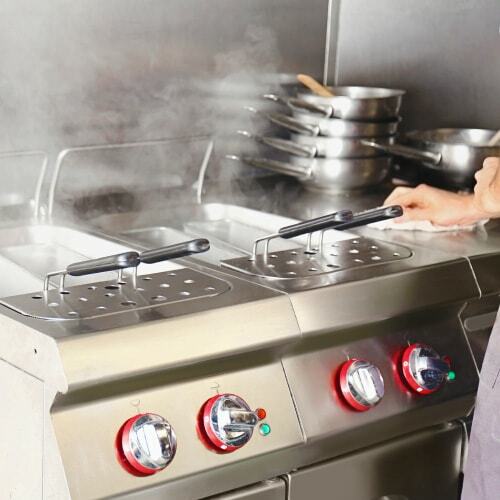 They're easy to operate and can be used by anyone on your kitchen staff. Efficiency - Hot water is a very efficient heating method. You'll use less energy with a rethermalizer than you would by defrosting foods in a microwave or combi oven. Many rethermalizers come with a lid that covers the water tank to retain heat for even greater efficiency. Convenience - Most rethermalizers will heat up frozen foods in as little as 90 minutes, so you don't have to worry about factoring in lengthy thaw times with your food prep. 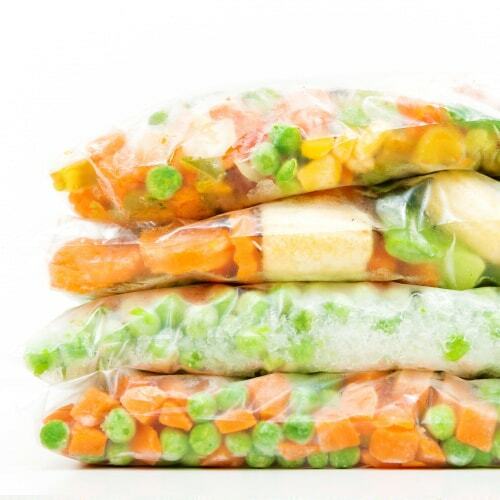 You can prepare foods ahead of time and freeze them until they are needed. Safety - Rethermalizers are one of the safest ways to handle frozen foods and carry them through the danger zone. They also limit the risk of contamination from improper handling because the frozen or raw foods are sealed in plastic packages. Rethermalizers eliminate the extra steps required to thaw foods safely. They can help to speed up your production considerably and are especially useful for operations that prepare large volumes of food ahead of time. Hospital kitchens, school cafeterias, and caterers can all benefit from using a rethermalizer to prepare foods with consistent results and quality.